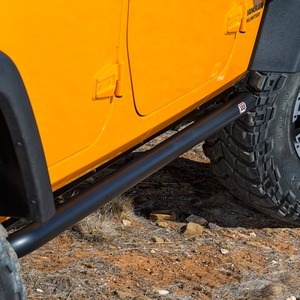 ARB Rock Sliders act as a shield between your vehicle’s vulnerable lower panels, protecting them from rocks and road debris encountered in remote area travel. At the same time, they provide a practical benefit by improving vehicle access. ARB rock sliders are manufactured from tough, tubular steel, making them ideal for use in steep, rocky terrain.